Hines is pleased to announce that it acted as exclusive financial advisor to Accolade Education Finance Limited (“Accolade”) in relation to securing a committed funding facility from Bank of London & The Middle East plc (“BLME”). The facility has enabled Accolade to relaunch its school and academy operating lease finance offering which will enable the business to grow while supporting schools in acquiring the assets they need in order to provide a first-class education. Local Authority Schools and Academies can use operating leases to acquire IT, furniture, sports or telephony equipment without large upfront costs. Accolade have extensive experience and knowledge of the Department for Education (DoE) guidance on leasing and subscription services for schools. With budgets tighter than ever operating leases can allow schools to manage their cash flow more effectively whilst investing in brand new equipment. BLME is an independent wholesale Sharia’a compliant bank based in London. Led by a management team that brings together a combination of experienced international bankers and leading experts in Islamic finance, BLME has three key business areas: Wealth Management, Commercial Finance and Treasury. BLME is regulated by the FCA and PRA and BLME DIFC Branch is regulated by the DFSA. 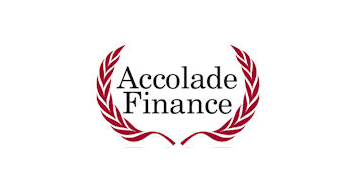 Hines Associates Limited acted as exclusive financial advisor to Accolade.